I raise the question of the Society of Saint Pius X insulting Pope Benedict with a degree of seriousness. Why? Because when I read the article that was written by Father Regis de Cacqueray and published with the approval of the SSPX Superior General Bishop Bernard Fellay, I thought while many of the ideas need to be understood better and are worthy of further investigation, de Cacqueray’s seeming intentions and tone are really offensive and unbecoming of a priest. As Pope Benedict has said and indicated many times, no one is above scrutiny. Charity requires the teaching of truth; the first item of justice ought to be charitable discourse to correct error. I do, however, think Father Regis de Cacqueray’s rhetoric is rather inflamatory. The National Review had an opinion piece on the issue, too. AND all this around the days of serious conversation between the Holy See and the SSPX!!! A challenging gospel passage for people who are skeptical about Christ being THE Way, and giving the keys to Peter and thus to the Church. We have to ask ourselves: Who do you say Jesus is? Do you take His words seriously? Is Peter’s confession of Jesus believable? Do you know the Church in a loving and faith-filled way? 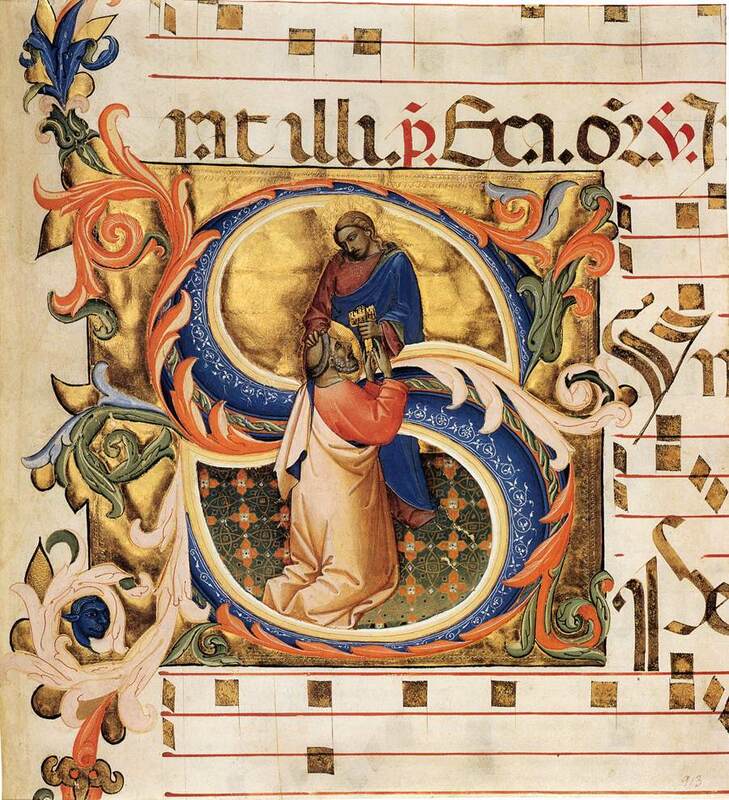 I was reading Fr Tim Finigan’s blog today, The hermeneutic of continuity, and was startled to read his post “Fr Z under attack.” Apparently Dr. Phyllis Zagano, professor of Religion at Hofstra University, doesn’t care for Fr Z’s ecclesiology and liturgical theology. Actually, it’s not Fr Z she has the problem with, it is the Church. But since she’s can’t get at that in manageable ways, she’s going after a prominent priest-writer. Why does she really care about Fr Z??? The controversy is based on ruffled feathers: Dr Zagano and much of the NC Reporter crowd doesn’t like to be scrutinized by those “who think with the Church.” It seems to me that this is another example of the mentality where “authority (and obedience) is for other people”; remember, this way of judging things isn’t really Catholic. The same doesn’t accept fraternal correction or live in a spirit of obedience to the Holy Mother the Church (who might just know more than a mere individual expositor of religion). Clearly, this is a case of scratch a liberal find a fascist. In world where adults are expected to be mature, trying to dig up dirt so as incite scandal among the faithful has no place in the Church. Perhaps, it seems to me, that Dr Zagano has not really learned much from all the work she’s done with the central spiritualities of the Church. There are various reasons why the influence of the Church has waned in recent years. And it can’t all be blamed on the sexual abuse of minors, though this issue has significantly contributed greatly to the diminishment. Her street cred is, at this time, based not on witness or the coherence of the Christian proposal or charitable works. The effectiveness of the Church to orient her proclamation of Christ as the unique and definitive Savior of the world is the lack of humanity the clergy AND laity. It is not merely clergy vs the laity –it is both. Both are the problem, both fail to help each other to see and to know Christ. Without seeing and knowing there is no relationship. Jesus Christ, the only begotten Son of God is NOT a something but a someone. Period. Our Lady of Perpetual Help, pray for us. Saints of God, intercede for us. It is expected that Pope Benedict XVI will nominate Archbishop Charles Joseph Chaput, OFM Cap., 66, of Denver, a Native American Indian (Prairie Band Potawatomi Tribe), as the 13th Bishop and 9th Archbishop of Philadelphia. He replaces His Eminence, Justin Francis Cardinal Rigali, 76, who has served the Archdiocese since 2003. The Cardinal has been a priest for 50 years, a bishop for 26 years and a cardinal for nearly 8 years. the Saint Augustine Province of the Capuchin Franciscans in 1965, professing vows at 21 in 1967. 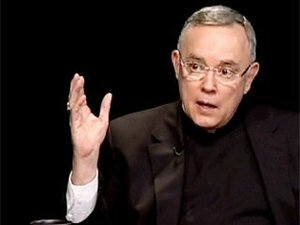 Chaput earned a Bachelor of Arts in Philosophy from Saint Fidelis College Seminary in Herman, Pennsylvania, in 1967, and completed Studies in Psychology at Catholic University in Washington DC, in 1969. A year later he earned a Master of Arts in Religious Education from Capuchin College in Washington DC and was ordained to the priesthood on August 29, 1970. By 1971, Father Charles Chaput earned a Master of Arts in Theology from the University of San Francisco. For several years Father Chaput served the Capuchin mission as a teacher, spiritual director, pastor, and in the administration of his Capuchin province. In 1988, Pope John Paul II nominated Father Charles Chaput as the Bishop of Rapid City, SD. The same Pope appointed him Archbishop of Denver on February 18, 1997. The new Philadelphia archbishop has been a priest for 41 years and a bishop for 23 years. Archbishop Chaput is one of two Capuchin archbishops and he’ll be the second American Capuchin, on the east coast, –the other being Boston’s Archbishop, Seán Patrick Cardinal O’Malley, OFM Cap.– and the first Native American to be a cardinal; Philadelphia is not expected to forego its cardinalatial status as St Louis and Detroit have done. It is unlikely, however, that Chaput would be given the cardinal’s title for 4 years. According to the 2010 stats, there are 1.46 million Catholics in the Archdiocese of Philadelphia. According to the 2006 stats, there are 400 thousand Catholics in the Archdiocese of Denver. Get to know Archbishop Chaput’s thinking by reading his addresses found here. May the Blessed Virgin Mary, Saint Francis and Saint Clare, Saint John Neumann, pray for Archbishop Chaput and the faithful of Philadelphia.